The past couple of days I've been battling a humongous migraine.... it is absolutely no fun. Yesterday I was good until the afternoon, and I was fine to let the kids read, play Legos, and watch Christmas movies while I rested. When I woke up feeling bad this morning I knew they couldn't just fend for themselves all day, so we had to get creative! I came downstairs a while later and found the kids playing a game together - and as I sat and listened to them I realized what a great time they were having, and the math concepts they had to use to play the game (since there are some missing pieces and they needed to make sure they each had an equal amount!). When they argued (as they will inevitably do, I referred back to The Bundle of Sticks Fable.... perfect moment! So, I contend that even on a BAD day of homeschool, we will accomplish more than a day in public school. We love the game, Mr. Mouth! It really takes a lot of skills to get those little flies in the frog's mouth. I love the intent look on my little guy's face.... he really enjoyed this game. 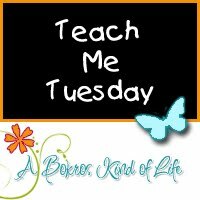 This post is linked to Teach Me Tuesday, at a Bokros Kind of Life, and also to the Hip Homeschool Hop. Check out these two blogs today for some great ideas!